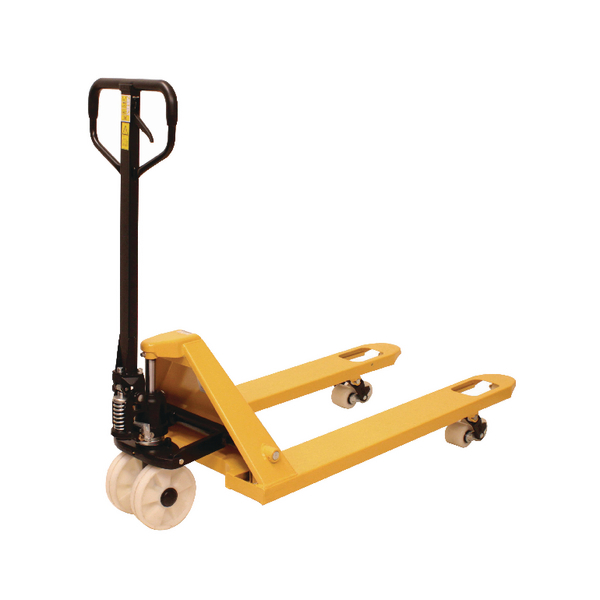 Getting your materials from A to B is half of the job, and using this hand pallet truck will make it just that bit easier. The fork lift truck is constructed from high quality heavy duty materials and features a fork lift mechanism that can be lifted and lowered between 84mm and 200mm. Each fork measures 160mm in width and 1220mm in length, with a total width of 685mm. The truck features nylon steering wheels and nylon rear rollers which make it easily manoeuvrable.